It seems that patterns have been showing up everywhere lately. 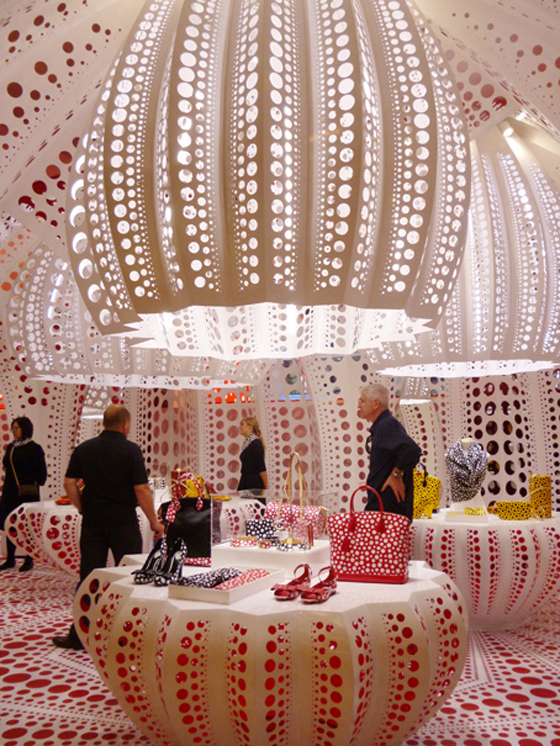 This concept store, with a temporary home in London, thrived on keeping the themed pattern of polka-dots continuous and flowing throughout the space; from the product, to the carpet, to the displays. Rather than relying solely on print to achieve this continuity, laser cutting was incorporated into the lanterns and walls, maintaining the pattern while keeping the space open and letting light seep into the atmosphere. By incorporating laser cutting, another dimension was added to the space. This fun environment is light and airy in nature and allows the designs being showcased to shine, quite literally.